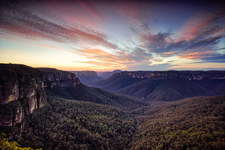 The Grose Valley is a rugged valley in the Blue Mountains, New South Wales, Australia. 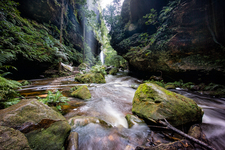 It has been formed by the Grose River, the headwaters of which are in the Mount Victoria area. 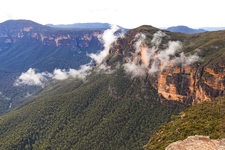 The valley is located between the Great Western Highway and Bells Line of Road, the two major routes across the Blue Mountains. 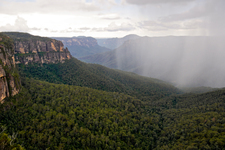 The majority of the valley falls within the Blue Mountains National Park. 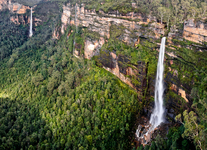 The Grose River has cut a deep gorge through the area as it makes its way east towards the Hawkesbury River. 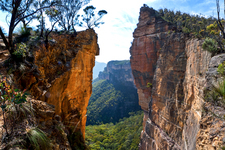 Sheer sandstone cliffs standing hundreds of metres above the river make for spectacular scenery and can be viewed extensively from the Blackheath area, where there are a number of accessible lookouts, the best known being Govetts Leap.The valley can also be viewed from lookouts near Bells Line of Road and points outside Mount Victoria. 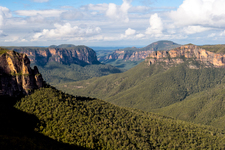 Charles Darwin described the Grose Valley as "stupendous… magnificent" when he visited in 1836. 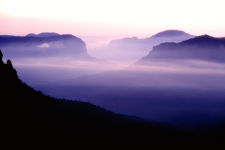 The Grose Valley arguably became the cradle of the modern conservation movement in NSW when Blue Gum Forest was saved from threatened destruction in 1931-32. 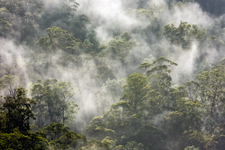 A group from the Sydney Bush Walkers club, led by Alan Rigby, were camped in the forest when they chanced upon a Bilpin farmer, Clarrie Hungerford. 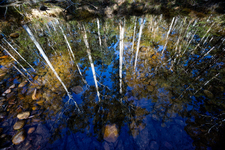 Hungerford had a lease of the forest and told the bushwalkers he planned to clear the blue gums to plant walnuts. The bushwalkers went away and started a campaign to stop him. Eventually, they raised £130 which they paid Hungerford in exchange for his relinquishing the lease. It was a substantial amount at the height of the great depression. 80 pounds came in the form of an interest-free loan from James Cleary, then head of the NSW railways and subsequently chairman of the Australian Broadcasting Commission. Cleary was also a bushwalker. 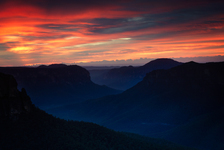 One of the key activists in the campaign was Myles Dunphy, who at the time was developing his plans for the Blue Mountains National Park. During the 1800s there were various proposals to dam the Grose Valley, and one such dam would have been at the forest. The area was also the subject of a number of proposed coal and shale mining ventures, and in the 1850s it was planned that the main western railway line would be routed up the Grose River and through the forest. Wikipedia.